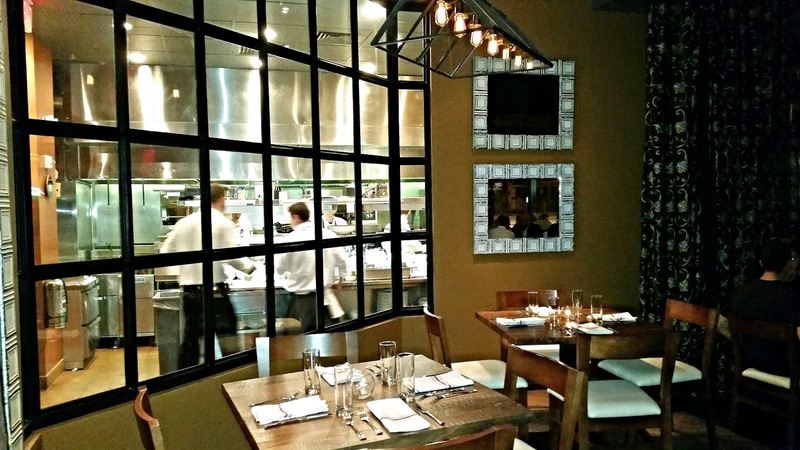 Soco is the all new Southern Contemporary restaurant from the Thornton Park Restaurant Group. The restaurant is helmed by award-winning Executive Chef/Partner Greg Richie, formerly of Emeril’s Tchoup Chop and Roy’s Hawaiian Fusion in Orlando. That space at 629 East Central Boulevard was formerly known as HUE, and occupies 4,500-square-feet. This signature corner is in the heart of the Thornton Park District in Downtown Orlando. A comfortable and welcoming bar adjacent to the dining room offers full dinner service and an impressive beverage program. An extensive selection of “By The Bottle” beers catches the eye alongside a list of handcrafted cocktails, also designed by Chef Richie, including Honey Rye Sour, White Julep and Grown-Up Cherry Cola. Also available is the Bar Plates menu, which features items, such as Crispy Macaroni Croquettes with heirloom tomato sauce, House-Blend Angus Beef Burger with aged white cheddar, red onion-bacon marmalade, house-made smoked ketchup and pickles on a brioche bun served with crispy onion rings and Meatloaf-Stuffed Bell Pepper Poppers with pimento mornay. Soco’s menu combines Richie’s classic culinary training with his experiences at renowned Southern restaurants such as Charleston’s Magnolias and The Abbey in Atlanta. A progressive culinary approach is showcased with new, exciting and contemporary takes on Southern-inspired dishes. 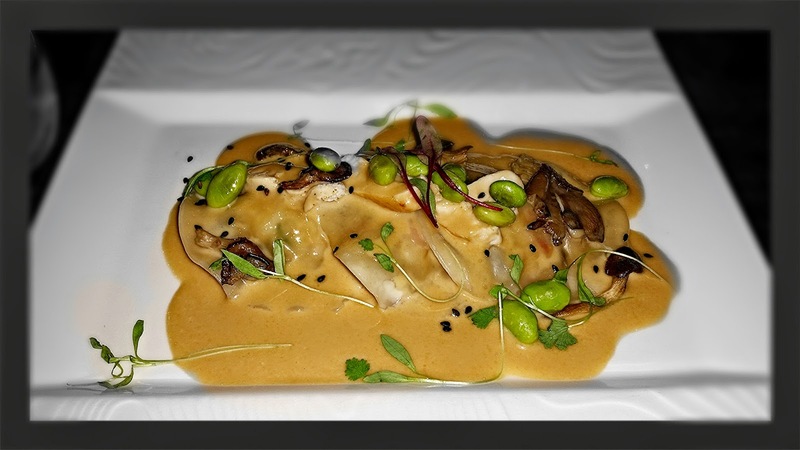 "Small Plates” begin with reinterpreted presentations such as Soco-Style Chicken and Dumplings that feature carved chicken breast, lobster dumpling, local mushrooms, edamame and soy butter. Other unique Soco twists include the Cornmeal Crisped Oysters that include pickled green tomato relish, and herb cream served atop chicharrones. The restaurant also features a “From The Garden” section, which offers a range of salad courses with interesting ingredients like compressed pickled peaches and arugula and baby romaine lettuce with soft fried egg, among others. For some of the Main and Feature dishes, Richie has played on the nostalgia of classic southern cuisine by creating a Lake Meadow Naturals Korean-Style Fried Chicken with pickled radishes, and a sweet and spicy dipping sauce. 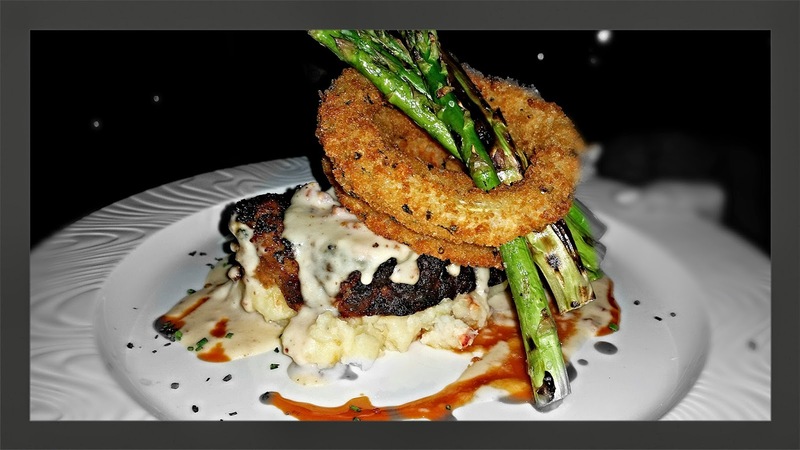 Other classic southern dishes that are taken up a notch include the Grilled Meatloaf on lobster mashed potatoes that feature a three-meat blend with crispy onion rings and a smoked Vidalia and Andouille sausage gravy. 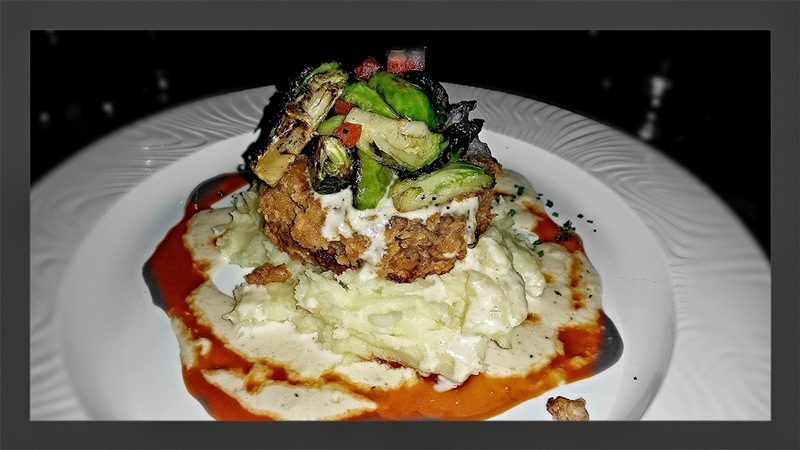 They even have a creative southern dish for all the vegetarians out there with a Chicken Fried Cauliflower Steak, that features asparagus, artichoke, garlic mashed potatoes and vine ripe tomato gravy. During a preview event I was able to do a round robin sampling of a few appetizers and a selection of desserts. For the main dishes, we each ordered a dish we wanted to try and then we took one or two bites and traded plates with the person next to us. 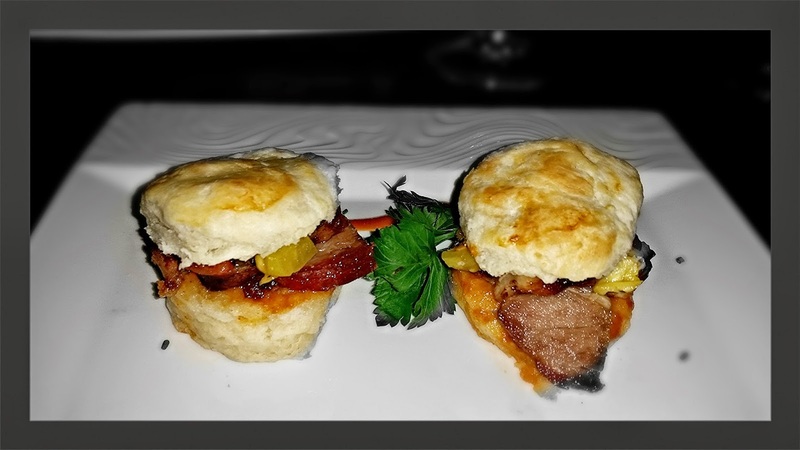 Starting with the "Small Plates", I sampled the Slow Roasted Barbecue Glazed Pork Belly Biscuits with Jalapeno Jelly. The Biscuits were very good, and as a Southerner, that says a lot. The flavors of the pork belly and Jalapeno jelly made these tasty little treats. The Cornmeal Crisped Oysters were a personal favorite. 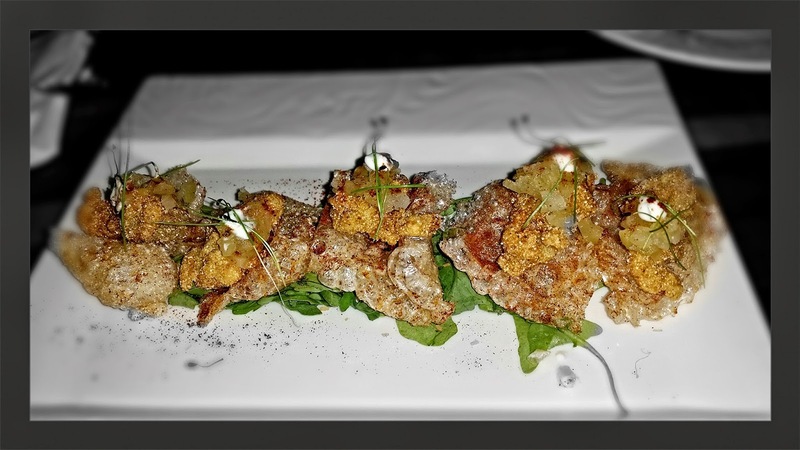 Lightly breaded and fried oysters served atop chicharrones and topped with green tomato relish and herb cream. Soco Style Chicken and Dumplings were very different, and very good. The dumplings come with chicken breast, lobster and mushrooms in an edamame soy butter sauce. Not your grandmas dumplings. 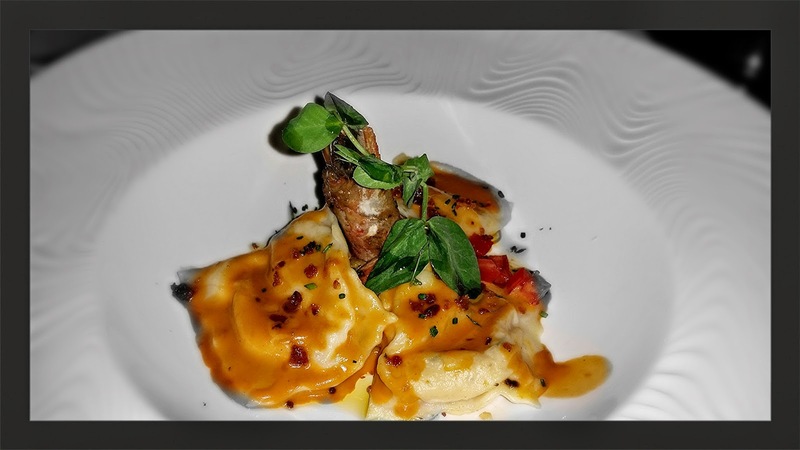 Another unique Soco dish was the Hand Made Canaveral Shrimp and Grits Ravioli. Served with Andouille sausage, tomatoes and a classic Veloute sauce, this will make you rethink your definition of Shrimp & Grits. Out of sheer curiosity, for my entree selection I ordered the Chicken Fried New York Strip Steak. It sounds wild, but its actually a play on the classic schnitzel, but with a nice cut of beef. It was surprisingly tender and delicious. The Grilled Meatloaf on Lobster mashed Potatoes was really good. 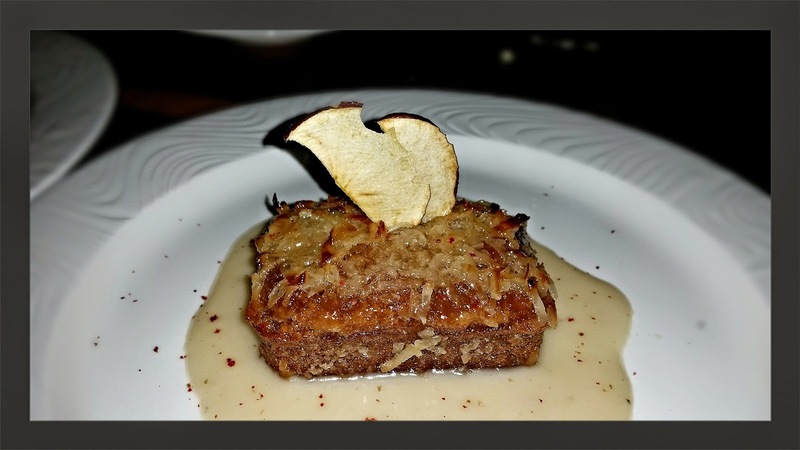 The meatloaf is made of 3 different meats and is served with a smoked Vidalia and Andouille sausage gravy. 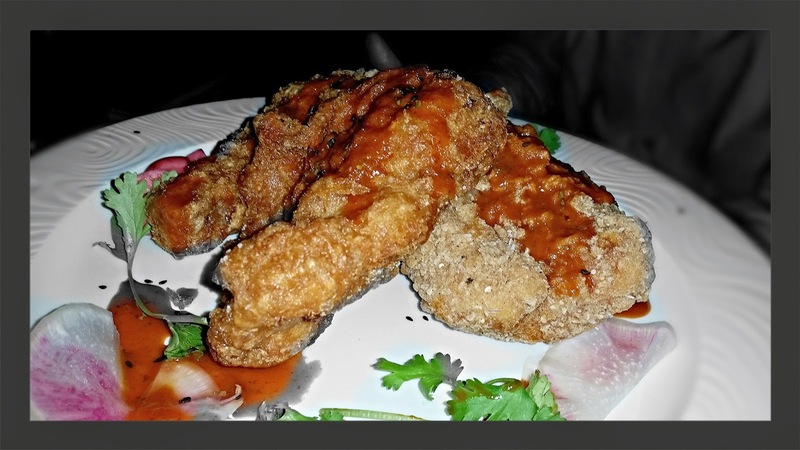 One of the "Feature" items at Soco is the Lake Meadow Naturals Korean Style Fried Chicken. The chicken is seasoned over night and coated in a thick and crispy batter that is topped with a sweet and spicy soy sauce. All my vegetarian friends should be pleased with the Chicken Fried Cauliflower Steak. Cauliflower is pressed together and formed into a patty and gets breaded and deep fried. This actually tasted pretty good, and I'm not a fan of non meat dishes. The taste of the South continued on in the dessert courses as well. Some of the home-style dessert offerings include Bourbon Banana Pudding, House-Made Moon Pie with RC Cola vanilla float, and Warm Apple and Oatmeal Spice Cake. 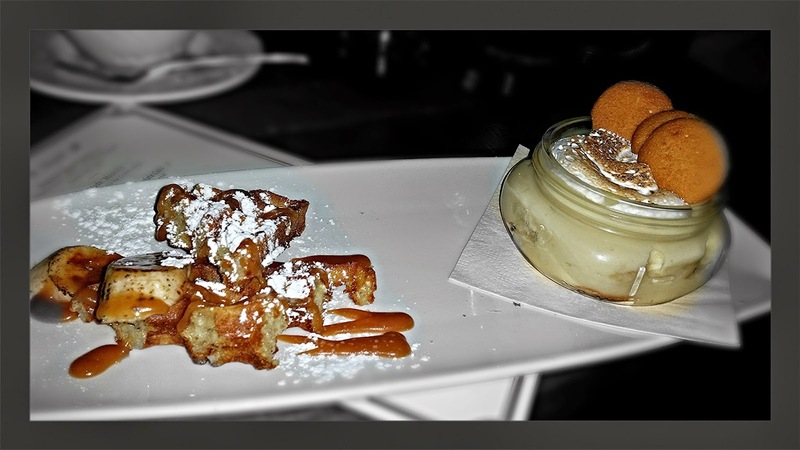 First up, the Bourbon Banana Pudding. This was a spectacular dessert. When you make a Waffle out of Vanilla Wafers, that is dessert genius, then add on caramelized banana and toasted meringue...wow! 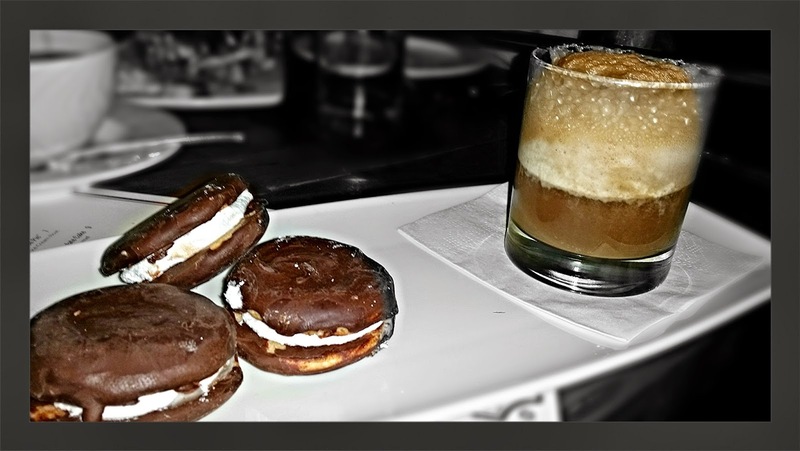 The House Made Moon Pie with RC Cola Float was another cool Soco take on a classic Southern treat. Very good and very fun to eat. 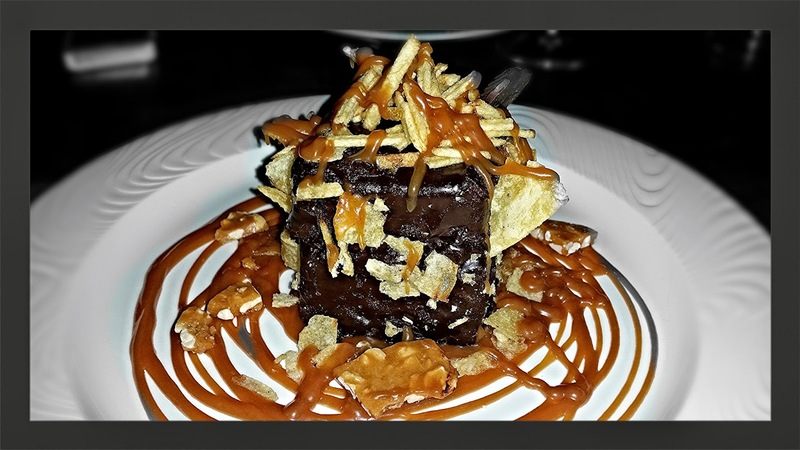 Another Unique dessert was the Potato Chip Crusted Chocolate Cake. Very simple in concept, salty and sweet and the cake was moist and delicious. The Warm Apple and Oatmeal Spice Cake was a nice treat as well. It is served in a pink peppercorn whiskey syrup and topped with shredded coconut. 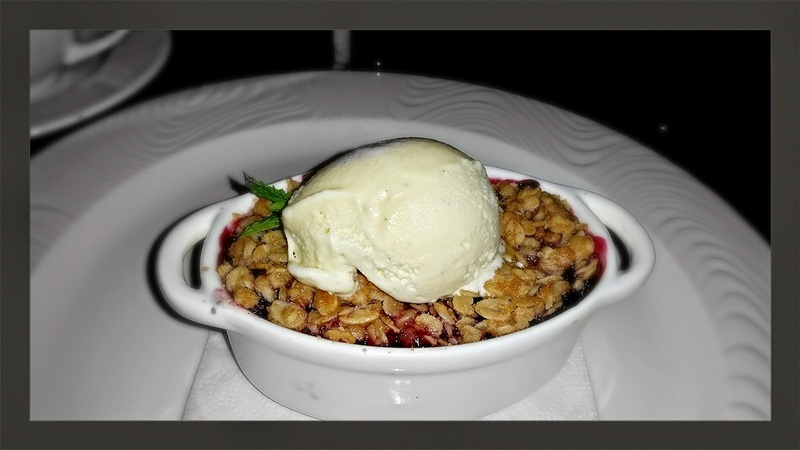 For something more traditional there is the Warm Berry Crisp served with Vanilla Bean Ice Cream. This is an old southern classic dessert dish that will make you feel right at home. Soco is local, and independently owned. 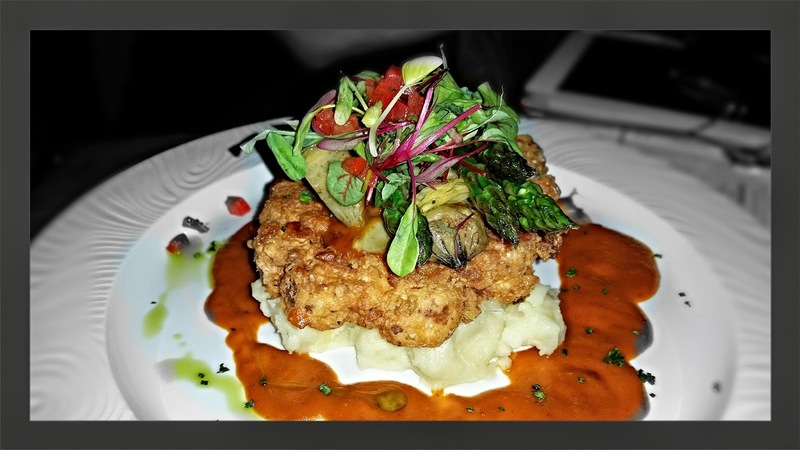 They are committed to playing an integral role in cultivating Downtown Orlando as a top dining destination. I can say that I really enjoyed the whole concept, from food to atmosphere, and they are well on their way to help make Downtown Orlando the place to go. Through the use of local ingredients and reimagined recipes, Soco’s Executive Chef/Partner Greg Richie conveys his Southern roots with a contemporary flair. This is not your grandmas southern food, but it is Southern at its core, and that is what makes the experience at Soco so unique. The restaurant is open daily from 5:00 pm until 10:00 pm. As of November 2nd, Soco is also offering brunch on the weekends.